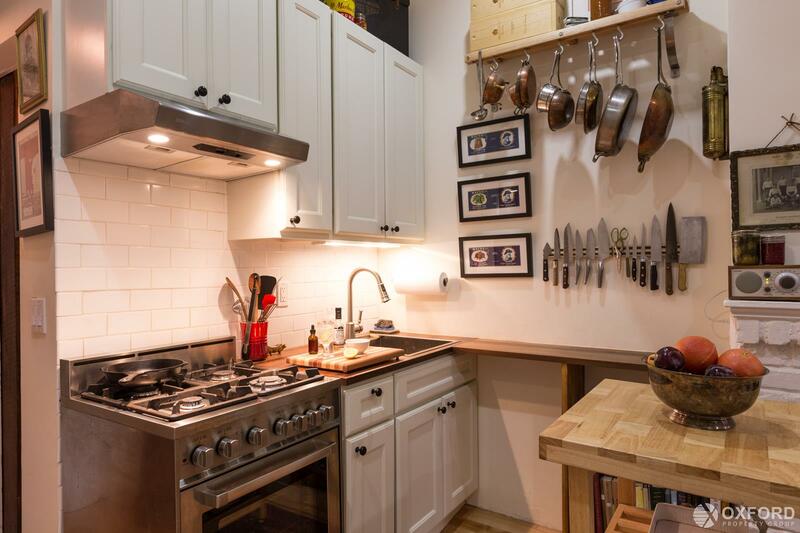 I am interested in #10507060 at 352 West 12th Street, New York, NY. 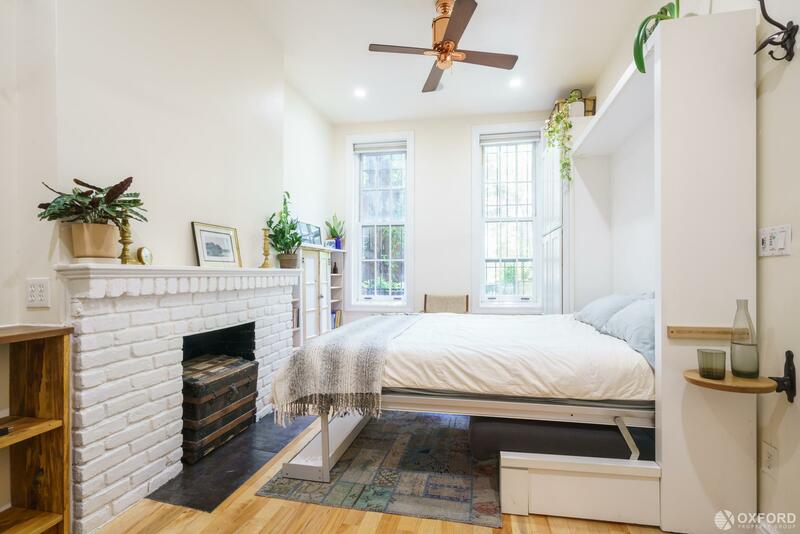 "This is a truly unique opportunity to own what Refinery29 has named the Coolest Tiny Apartment in NYC, and what the owners have nicknamed The Wee Cottage. Situated on a tree-lined, cobblestone segment of West 12th Street between Washington and Greenwich Streets, the apartment was recently renovated and will be furnished with built-in Resource Furniture Clei couch and murphy bed frame, built-in custom dining room table, perfectly sized coffee table antique storage trunk, the antique storage trunk showed in the white brick fireplace and a folding, stowable kitchen island. There is substantial built-in storage, premium cabinets, a chefs kitchen with high-end stainless steel stove and a newly renovated bathroom with a one-of-a-kind sliding reclaimed barn door and a shower that has an overhead large sunflower head and a separate second hand sprayer. The large 6 ft windows are outfitted with Hunter Douglass electric blinds (remote is built into the wall), that give you privacy when you want it and when open let in lots of light. Windows overlook a shared garden that is a gem. It is a quiet and serene setting that completely takes you away from the city, and you'll even wake up to the sweet songs of chirping birds in the morning. 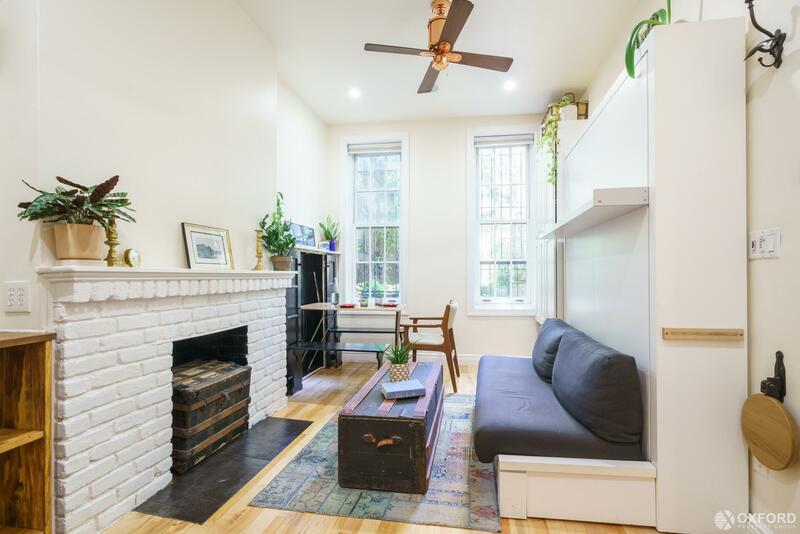 According to Refinery29: The interior decor is a perfect mix of classic and modern: The living room (complete with a white brick fireplace and a variety of antiques) doubles as a bedroom (a Murphy bed folds out from the wall); the bathroom features sliding reclaimed wood doors; the kitchen boasts updated appliances with walnut and mahogany countertops. 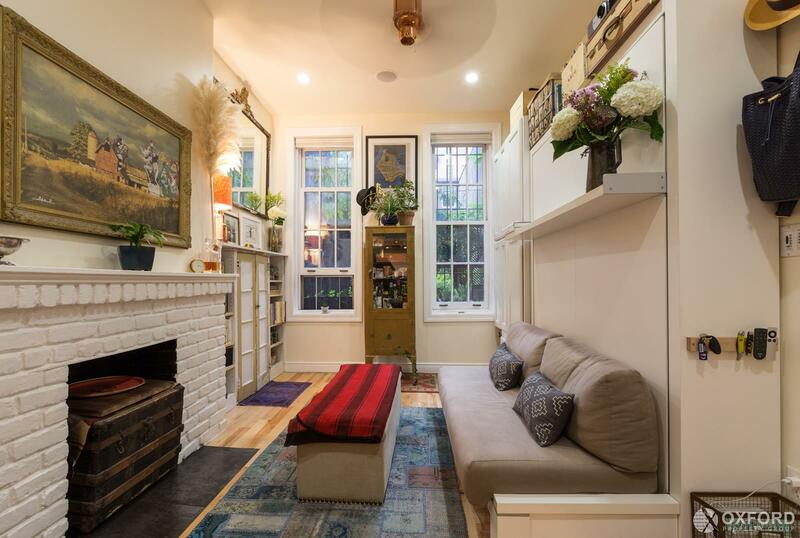 Seriously, who knew small spaces could be so tricked out? 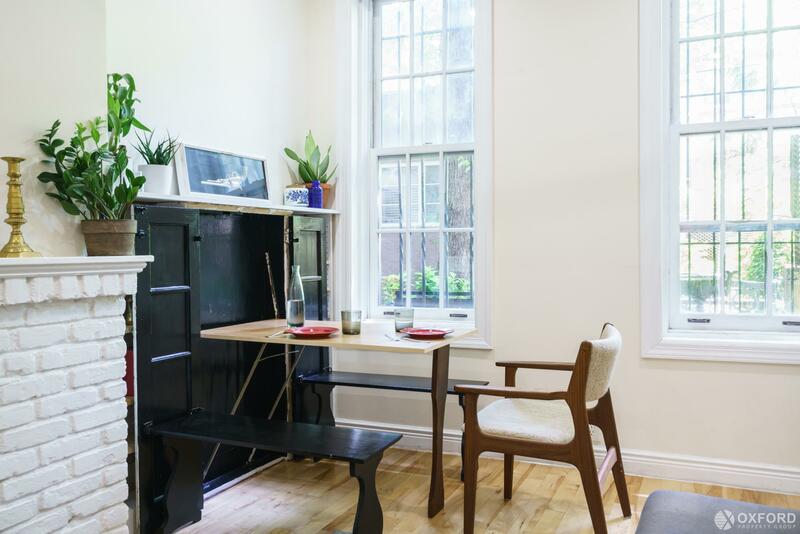 The apartment has also been featured on Curbed's list of famous micro apartments in NYC, Apartment Therapy and CNN. 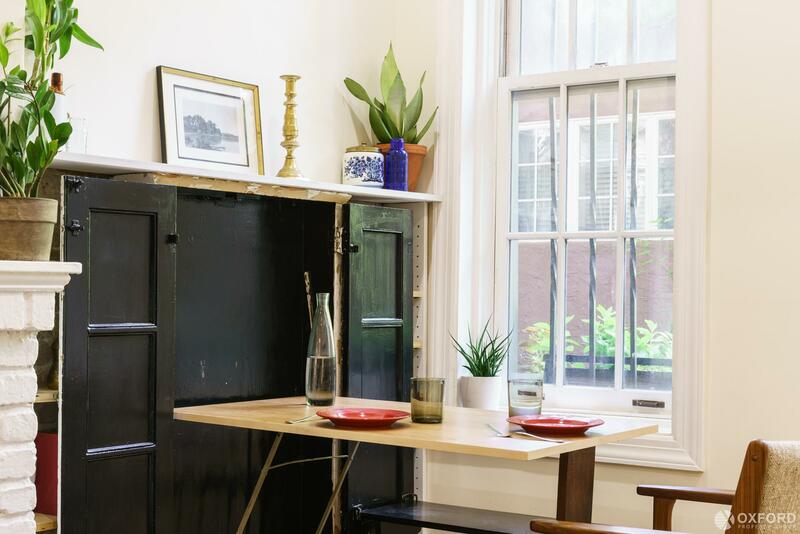 Located between Greenwich Street and Washington Street, within the landmarked Greenwich Historic District, this is your chance to be part of the living history that is the West Village. Experience the calm and quiet of village life while being surrounded by the Hudson River Park, Abingdon Square farmers market, the High-line, Chelsea Market, the Whitney Museum, and a plethora of the best restaurants, bars, and shopping, with things to do, both day and night, in the nearby Meatpacking District.More about the building:This well-run and fiscally sound coop, also boasts a full-time super, available basement storage, and a lovely shared English country-style back garden. 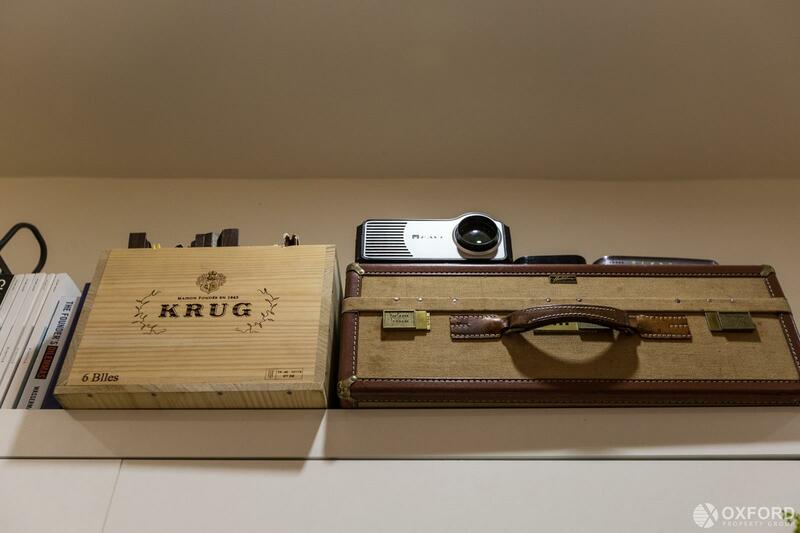 Pied- -terre, co-purchasing and subletting are allowed. 350-354 West 12th Street is a row of three contiguous walk-up apartment houses, joined together both in their design and as a single cooperative. These three buildings were built in 1875 by architect William Joel, with detailed beaux-arts elements from stoop to sky. The first-floor windows and doors appear as part of an arcade, while the second-floor windows are topped with ornate pediments. 350-354 West 12th St are crowned by a matching unbroken cornice punctuated by carved scroll brackets, bringing them all together in a wonderful ensemble which remains much the same as it was a century and a half ago. For residents, the rear of the buildings are joined together by a well-manicured private garden. With these building standing 5 stories each, some higher floor apartments can enjoy the feeling of being ""above the break"" since neighboring buildings are 2 to 3 stories in height." 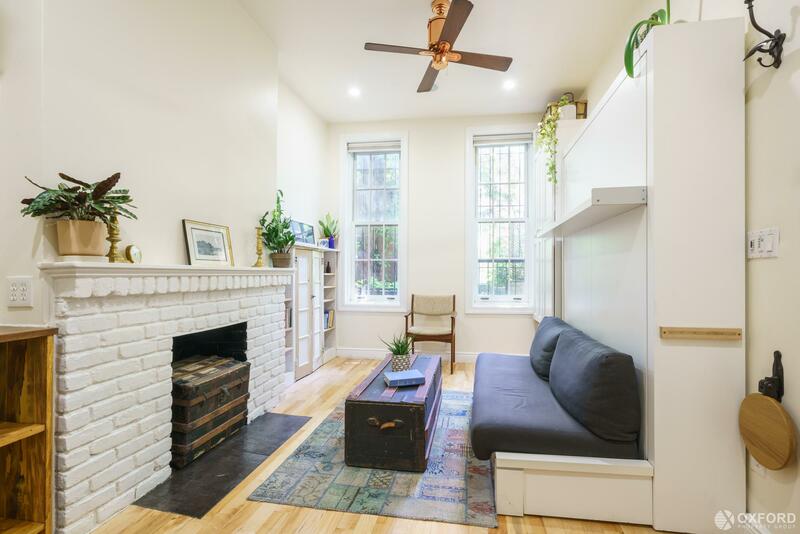 I would like more information regarding the NY State MLS Listing #10507060 at 352 West 12th Street, New York, NY.